as you may have noticed, the site is stuck somewhere between updates. Due to technical difficulties the news (we write in our forums: Tomb Raider News) no longer work properly on the website and the overview pages of newer games are not how I'd like them to be. The cause for that is, that I am currently rewriting the whole website - putting everything into a database - and plan to release it alongside the release of "Rise of the Tomb Raider" on November 10th. The new website will keep some basic style elements from the current one, but change others, the idea behind it being to make it easier to navigate on mobile devices. I will be using newer fresher fonts, and offering a few styles to chose from (or to enjoy one or the other at random). During the meantime I will not be updating these pages here, as that would mean double to workload. However as most content I provide at the moment is in form of videos (my own recordings and official trailers) and articles (reviews, previous, closer-looks), I direct you to my social media channels to get your Tomb Raider fix. (I would also like to direct your eyes to the very top of the page, where in the right corner you can find button links to the three main channels (twitter, tumblr, youtube). Not only will I be uploading trailers we are provided by official sources, I am currently also re-recording walkthroughs (the original Tomb Raider with Glidos; the Tomb Raider reboot aka Tomb Raider (2013) Definitive Edition and Temple of Osiris (both PS4 version). On twitter I will regularly tweet what I've been up to (which articles I've written, which videos I've uploaded, what's new in the Tomb Raider universe or simply what I've done behind the scenes and not ready to go live), I will also retweet what others have shared. 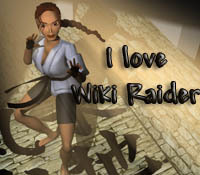 Note that I also have a facebook page, at https://www.facebook.com/tombraidergirlcom, but most often facebook gets no original content from me, it is however still a nice way to keep updated, as everything I do on twitter and other social media, ends up on facebook as well. In the past I have not published all my articles on tumblr as well, in the future I might do that, at least until my new website version (which will include a blog-like-section - without comments, but with the possibility to share at the click of a button) is fully functional, at which point I still intend to leave a copy on tumblr. This is the spot for previews, reviews, basically everything that contains a little more that just plain news announcements. We are one of the lucky ones who got their games already and we had the opportunity to try it out. Everything we've done so far we've recorded using the PS4s recording fuction. We will probably upload it as "Let's Play" to our youtube channel http://www.youtube.com/user/tombraidergirlnet once the game has been officially released. We don't want to spoil anything until then. 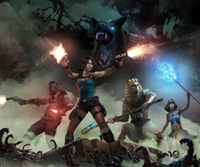 What we noticed so far: When playing with two people and player one picks Lara (one of the archaeologists), the second player has to pick either Isis or Horus (one of the Egyptians), as the Staff of Osiris is needed for puzzles. So, no Lara & Carter duo if playing with only two people. The rest of the news can currently only be found in our forums. Sorry for the inconvenience.